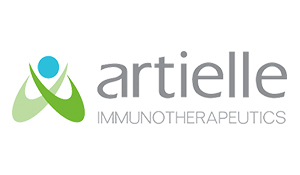 Artielle Immunotherapeutics is a clinical stage, venture-backed company developing a novel, first-in-class platform of biologic drugs to treat a range of inflammatory and degenerative diseases. Artielle’s initial therapeutic focus is on neuroinflammatory and degenerative diseases including multiple sclerosis (MS), optic neuritis, methamphetamine addiction and stroke. Additional applications are being pursued in other diseases including rheumatoid arthritis (RA), uveitis, age-related macular degeneration (AMD) and celiac disease.